What a lovely weekend for an afternoon drive! 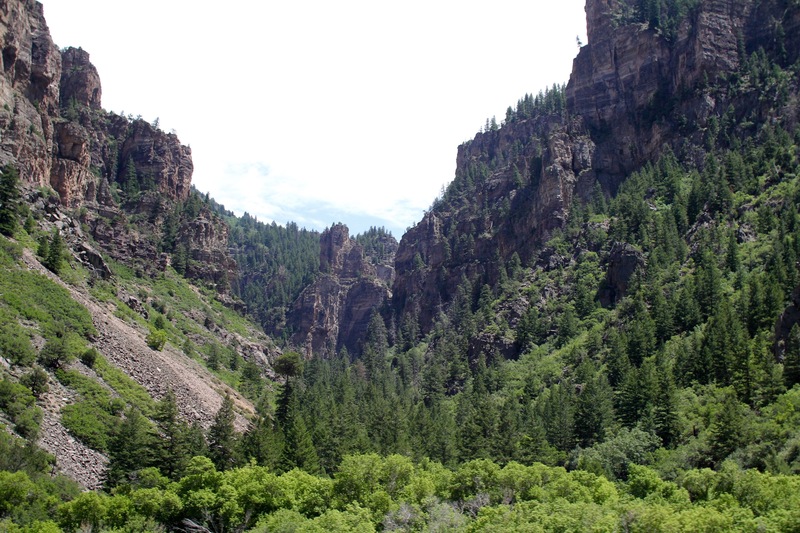 The canyon is just 12.5 miles but is a gorgeous drive with the road, train rail and the Colorado river all together. Hanging Lake is here too- but the weekend is not the time unless you want to hike in a line full of tourists. The California Zephyr running alongside the mighty Colorado river. The Colorado River was running high and chocolate-colored after a hard rain. Dear Hubby greets the rafters. We stopped to see my siblings and admire my brother’s lovely yard. 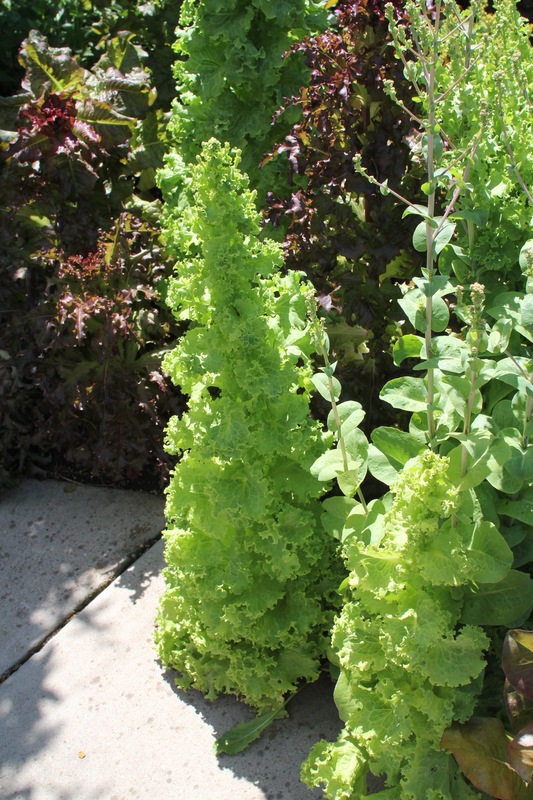 This is what lettuce looks like if you let it go. 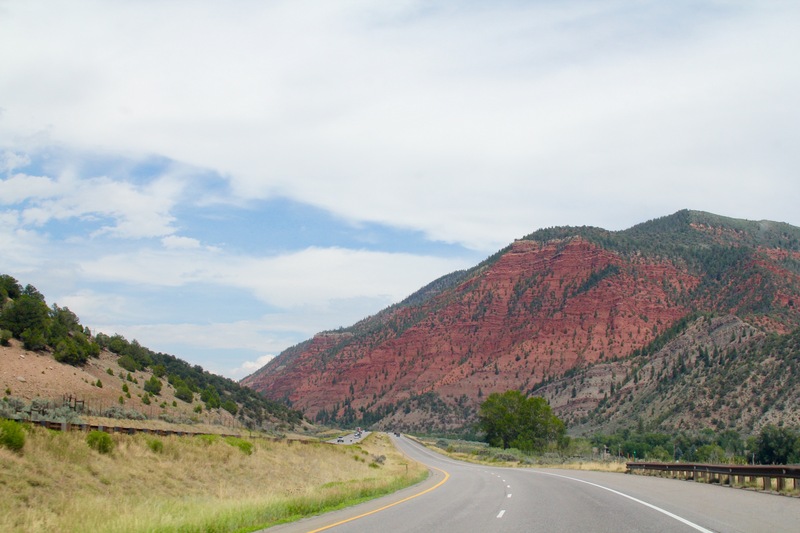 Next we turned off of the highway towards Minturn and drove towards Red Cliff and the abandoned mining town of Gilman. Now onward up the winding road toward Leadville! We stopped at (what’s left of) Camp Hale where the 10th Mountain Division trained. There is a little campground with pit toilets. We continued up to 10,200 ft; the mining town of Leadville is full of gift shops and tourists and is definitely worth the trip for the drive alone. 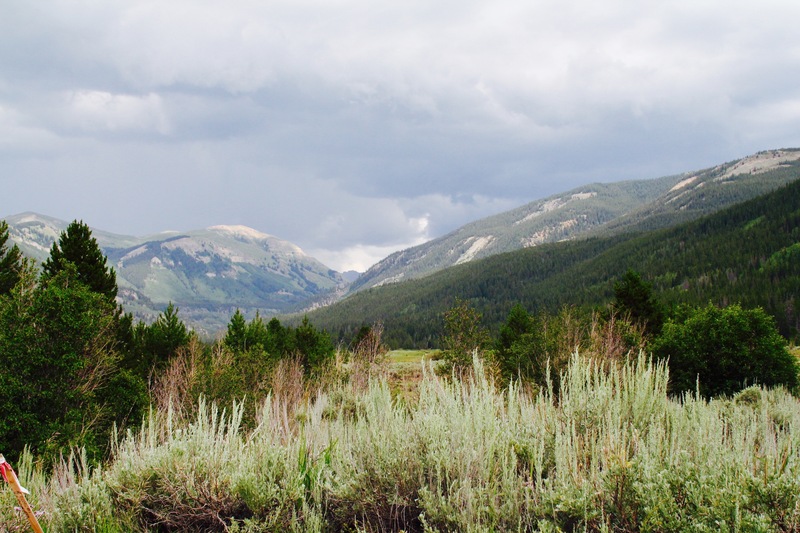 On the way back down to Highway 70 we saw some more lovely sights. Back on the highway, we cruise back towards Denver. 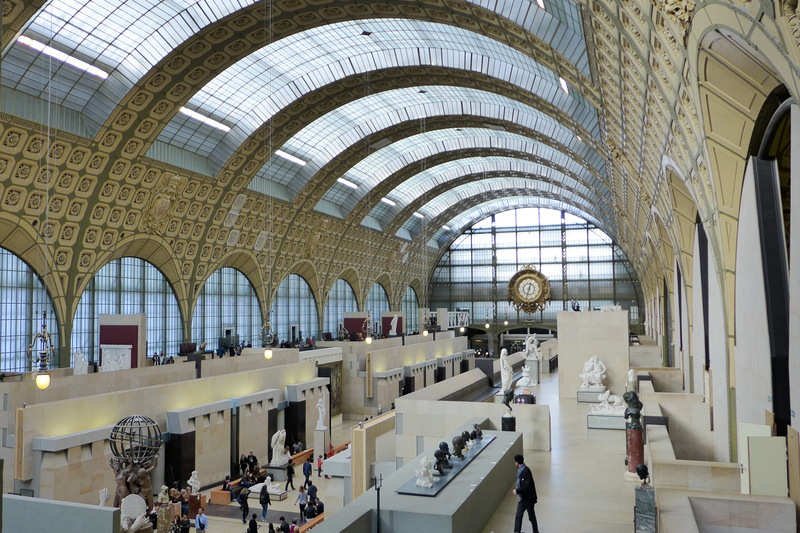 Grab a Museum Pass at the Airport & head to Museé d’Orsay! 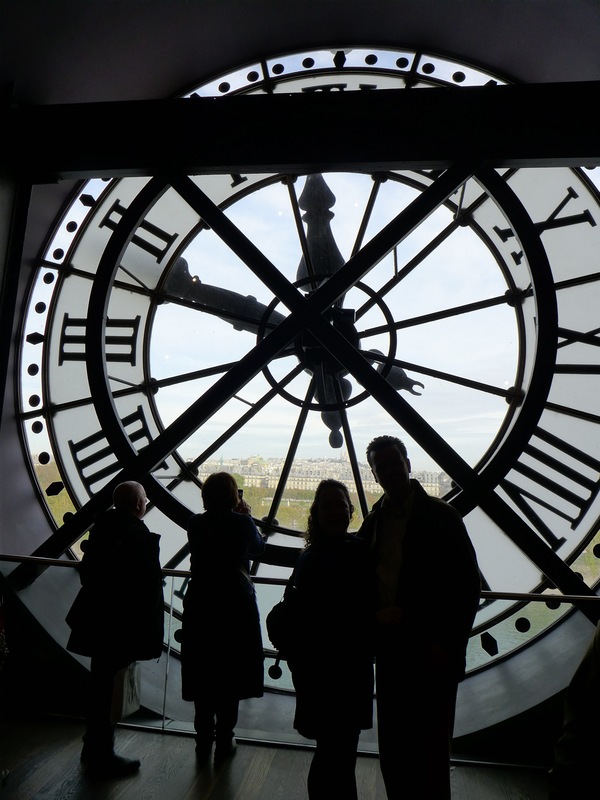 Paris is full to the brim with fantastic museums but if you’re short on time (or on patience for long museum lines) head to Museé d’Orsay! Once a decadent train station, it was converted into a museum space and it is the perfect size for a half day of Impressionist paintings. 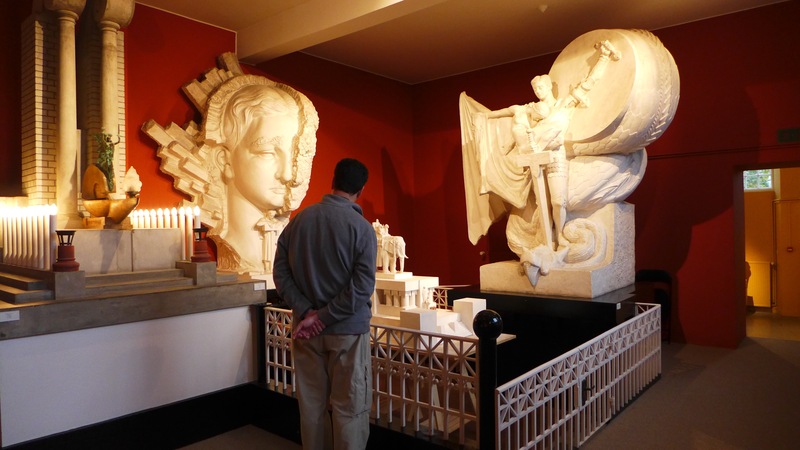 Buy a Museum Pass which allows access to a special line! Arrive before 10am while the other tourists are noshing on croissants. We got in early and planned to spend a half-day in the museum. First, we headed up to the Impressionist Floor and spent a good hour gazing at all the Cézanne, Degas, Gauguin, Manet, Monet, Renoir, and Van Goghs! 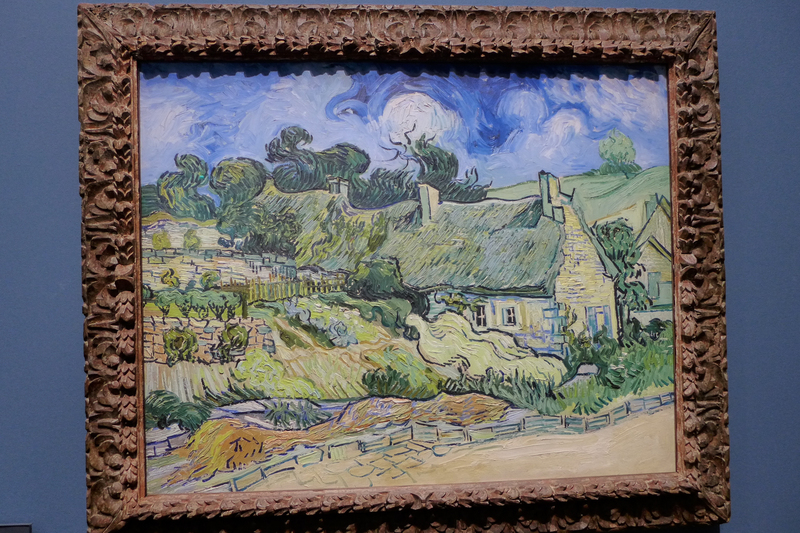 And we then hunted around for Van Gogh’s ‘Starry Night Over the Rhone‘… which was on loan to Toronto. Luckily, there is another area full of Van Gogh’s on a lower floor. I have to remind myself NOT touch the Van Goghs… when I get up close I just want to run my finger across all those brushstrokes. In person, the colors are richer and the ridges where Van Gogh himself pulled the paint around the canvas are deep. 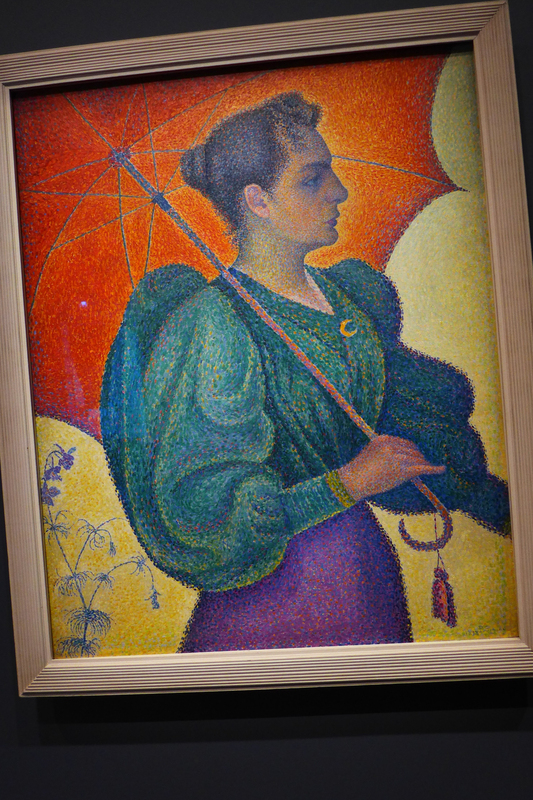 I also loved this portrait that Paul Signac did of his wife. 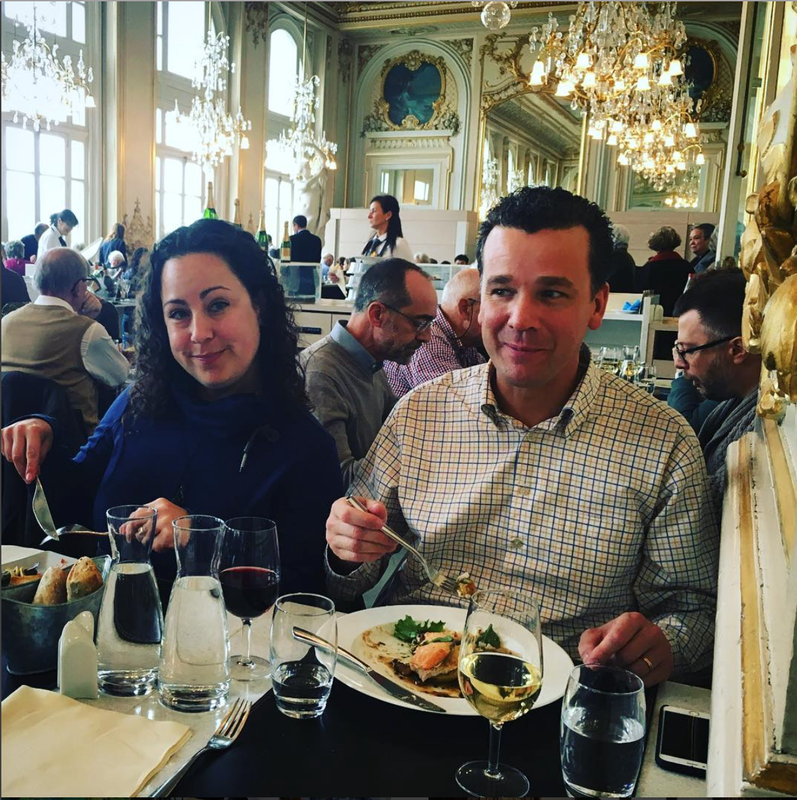 Museé d’Orsay is the top of our list of museum recommendations and if we had stayed longer, we would have gone back another day. Don’t miss this gem! 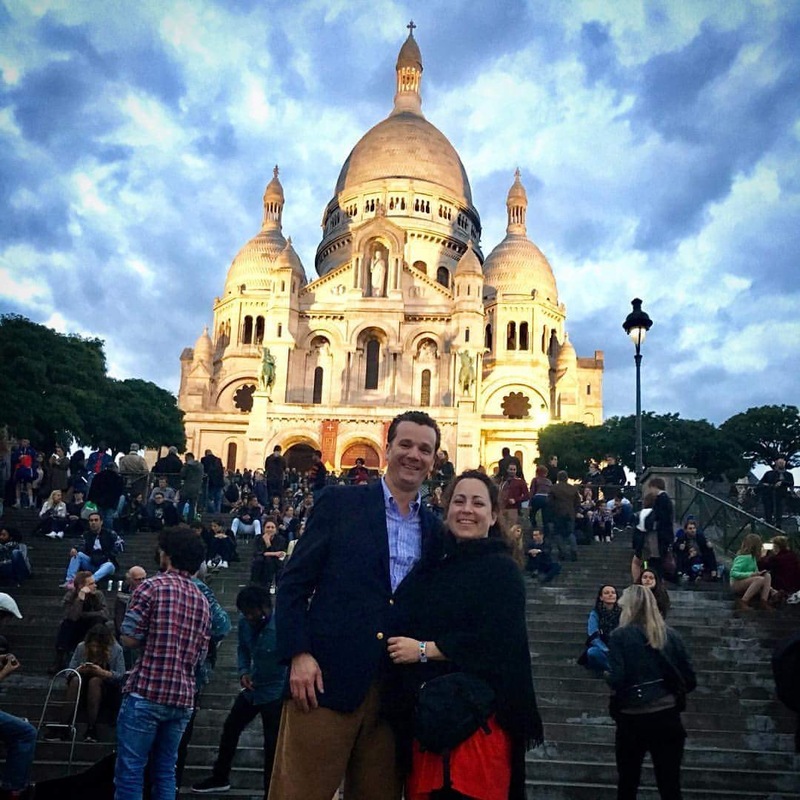 We made the trek to Montmartre the evening my friend Natasja arrived from Amsterdam on the train. 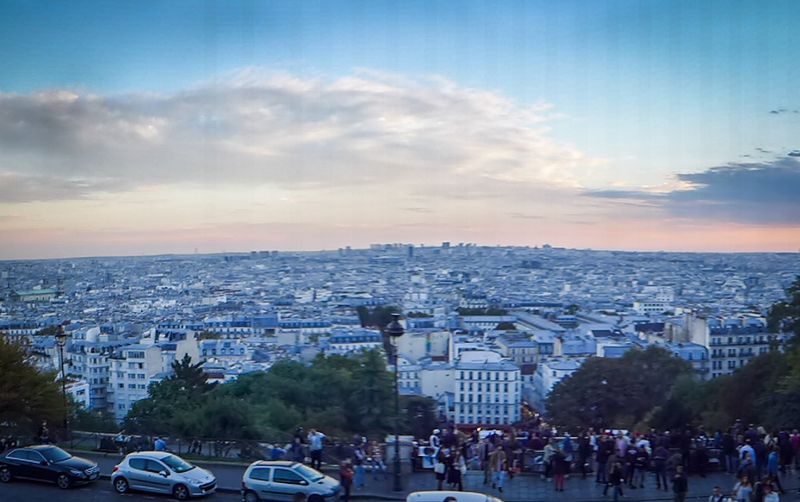 We had intended to watch the sunset from highest point in Paris, but the clouds didn’t cooperate. We still had fun; sitting on the steps with the throngs of tourists, rebuffing the alcohol peddlers and taking photos. The view of Paris, stretched out before us was lovely, even if the sunset was unimpressive. We bought 5 tiny Eiffel tower keychains for 1 Euro (but didn’t let the scam artists tie any friendship bracelets on us!) 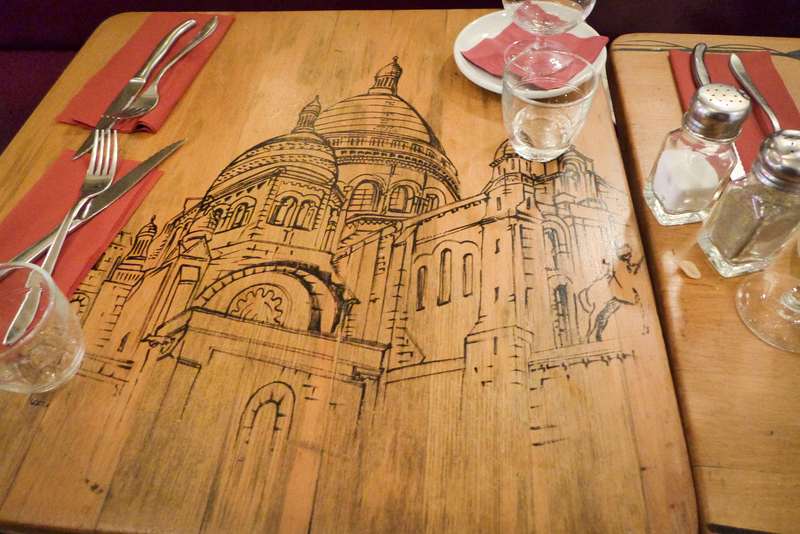 Then we headed down into Montmartre to find a bite to eat. The restaurant table has this drawing on it! 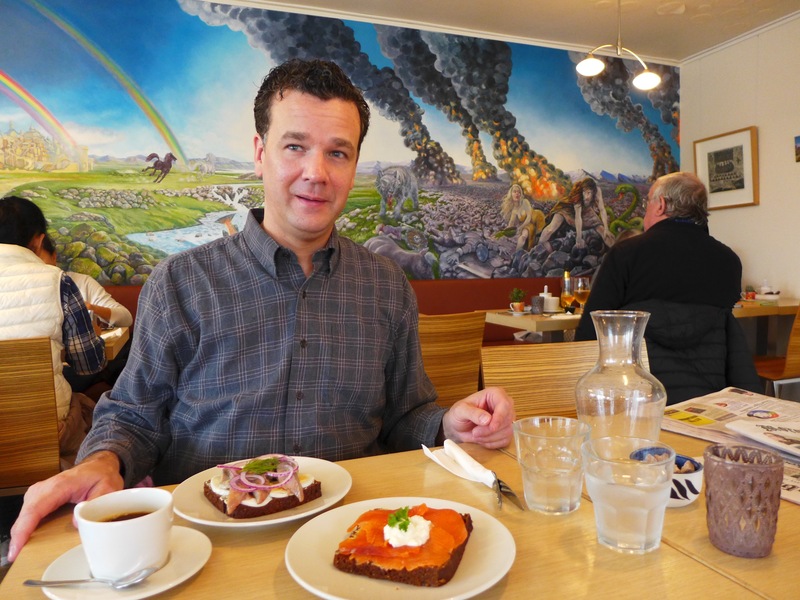 We dropped off our Sadcar and dove into the total chaos of the Reykjavik airport at 6am. The airport LOOKS new but is total mayhem and I could write an entire post about it… that you would NOT want to read. Instead, I’ll show you the RAD aurora borealis effect on our plane. 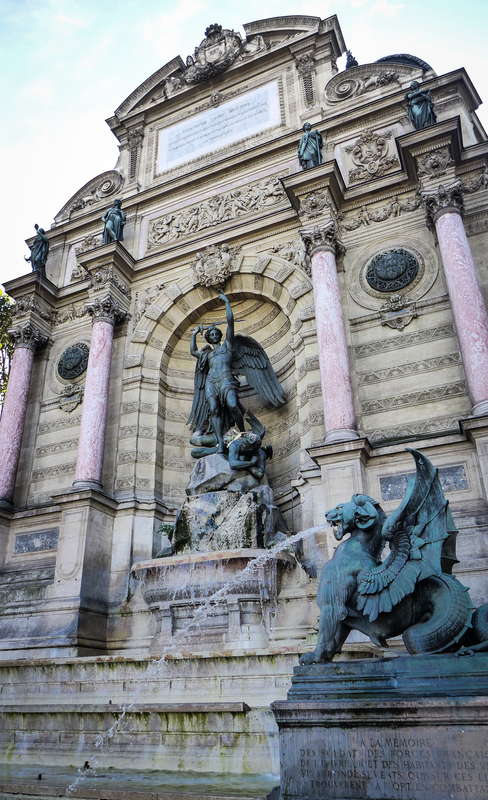 We touchdown in Paris and make our way to the 6th arrondissement (neighborhood). Our place is on the left of the map and we’re only a 12-minute walk to Notre Dame (on the right). The closest Metro stop was Sainte Michel (which I appreciated because St. Michael’s Episcopal is my family’s church.) And it has this formidable fountain of Michael the Archangel, vanquishing Satan. 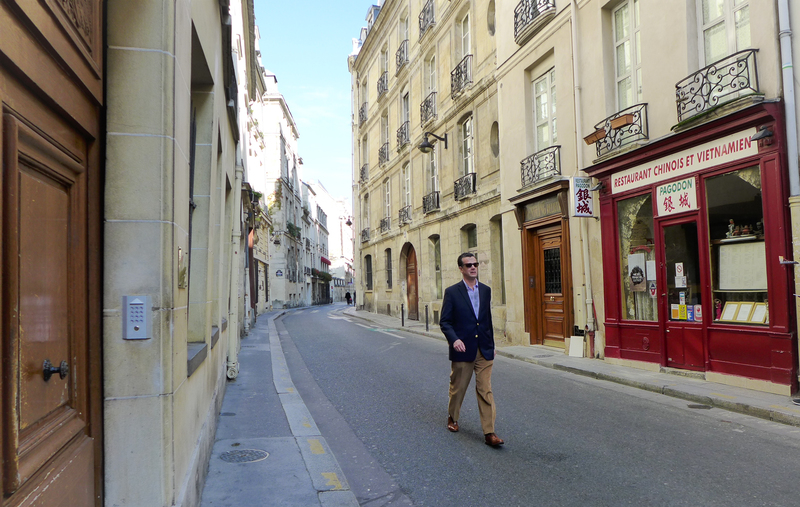 This is my handsome husband, strutting down our ‘rue’. The door on the left goes into our courtyard. And here’s our courtyard! The door to my left is an office and the 2 steps on the right lead to a hallway that goes behind the office and to another, courtyard for our 2nd story apartment. And here is a video of the place we called ‘ours’ in Paris. 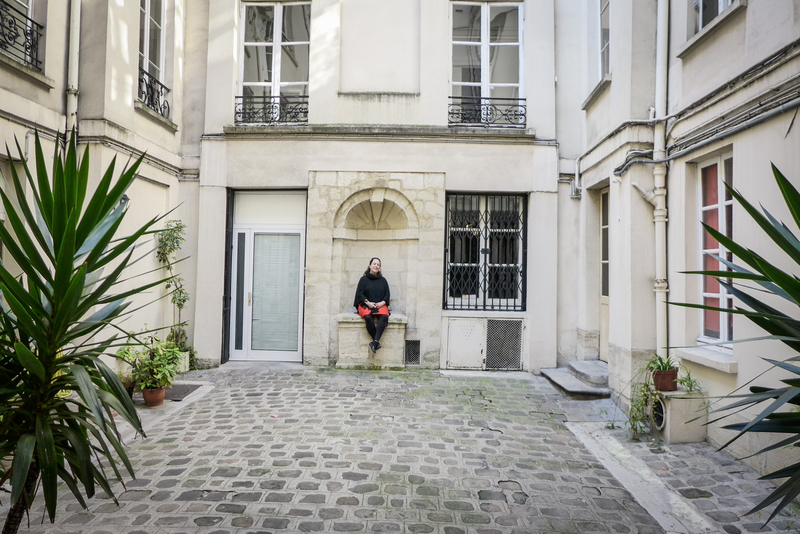 This adorable apartment was our home base for 10-days while we explored the French capital. We couldn’t even believe our luck! 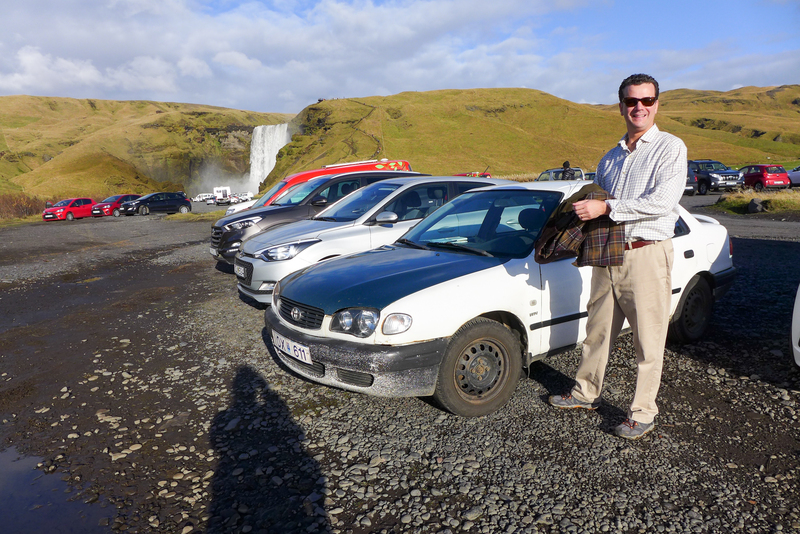 Our last day in Iceland was planned to be a drive along the south coast and when we woke up the weather was SUNNY and mild! 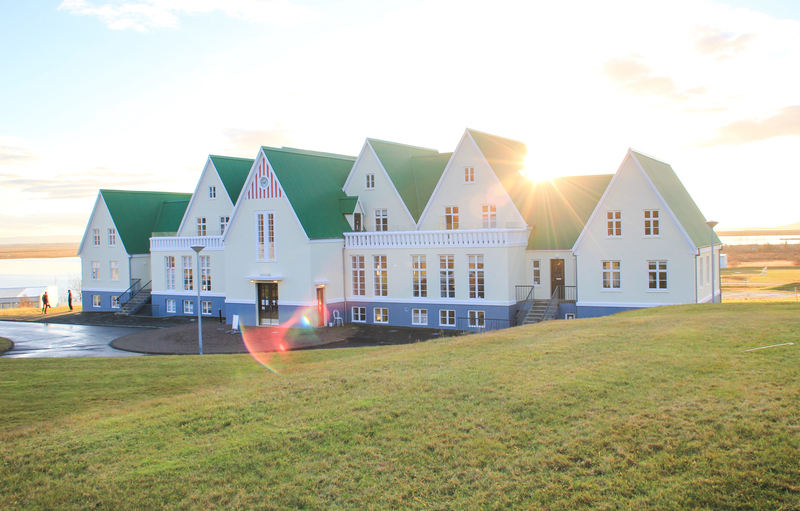 Just look at our adorable little school-house hostel! It was like Christmas morning and I couldn’t WAIT to get on the road. 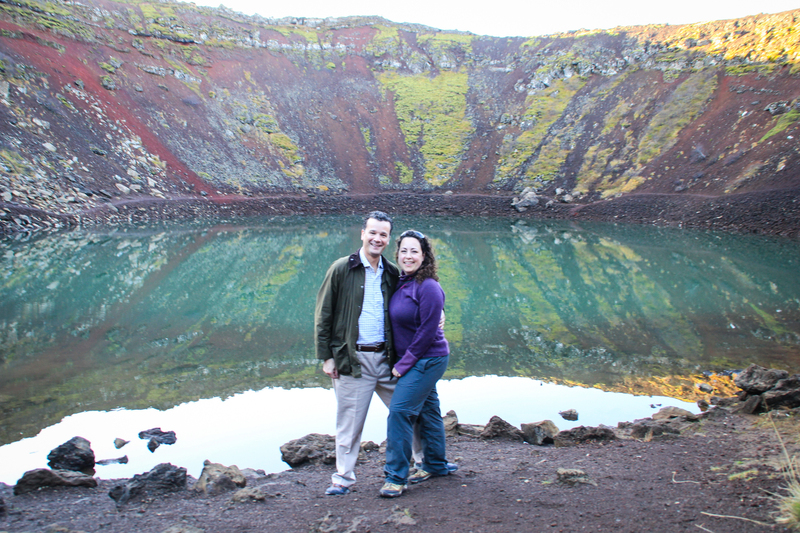 Our first stop was a quick hike around the rim of a collapsed volcano in Keroid. Richard was enjoying the small things in life- like the way the volcanic rock crunched underfoot. I was enjoying the sunshine! 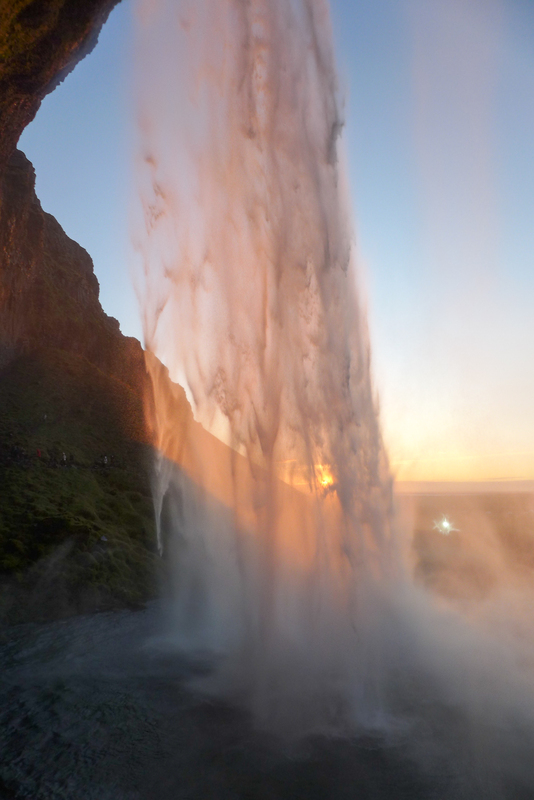 We hiked the stairs to the top of the waterfall to enjoy the view and then continued east toward Vik. (Do you see the tiny people in the bottom, right corner?) Along the way, the Atlantic was on our right and mountain views were on our left. We stopped a lot to take photos because we just couldn’t help ourselves! On Route 1, we spotted a GLACIER in the distance. I frantically took photos out the window until Richard saw a road to the glacier parking lot! Off we went for a hike! Holding a piece of a glacier. We drove past the unpronounceable volcano Eyjafjallajokull that blew in 2010 and kept all those European flights grounded. It doesn’t look very dangerous, with a farm in its foothills. 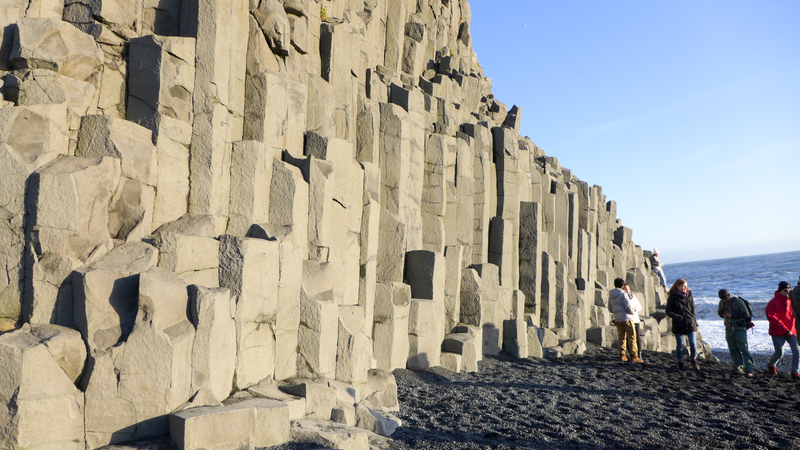 Our final destination was the little seaside village of Vik. The only thing of note in the town was this black sand beach. In the afternoon sun, the beach has a monochrome look. The view of these same cliffs from the opposite was surprisingly different. Basalt rock formations and a blue, blue sea. The black sand was the same. Vik was the end of the road for us and it was time to turn back and head for Reykjavik. We had one more stop. 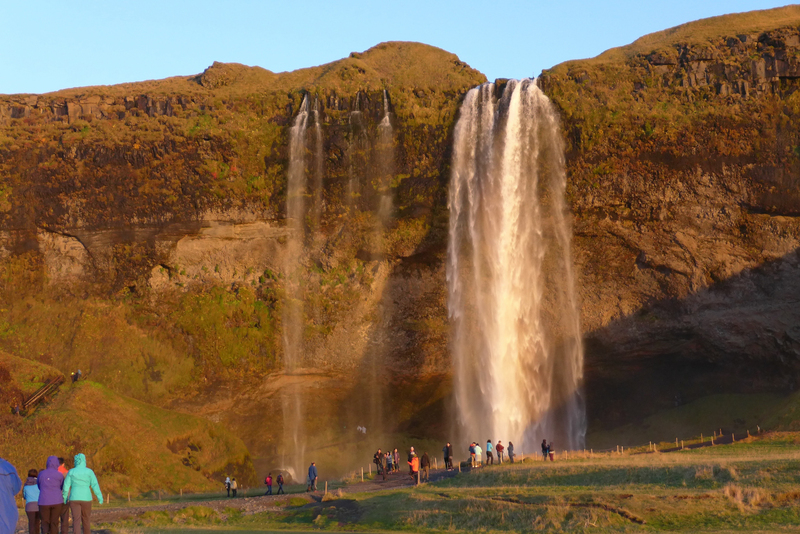 Luckily, the Seljalandsfoss waterfall was much less crowded and drenched in evening sunlight. We ended our Route 1 trip by hiking behind the waterfall to watch the sun descend for the evening. 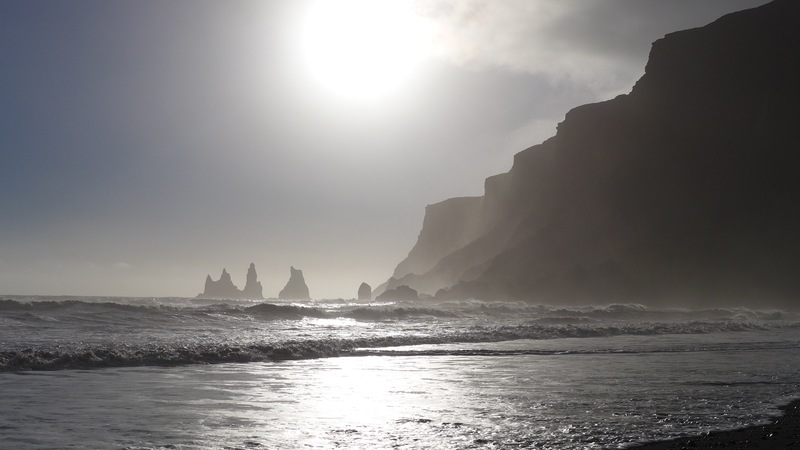 Good-bye, Iceland! The next morning, we’ll be flying off to Paris! 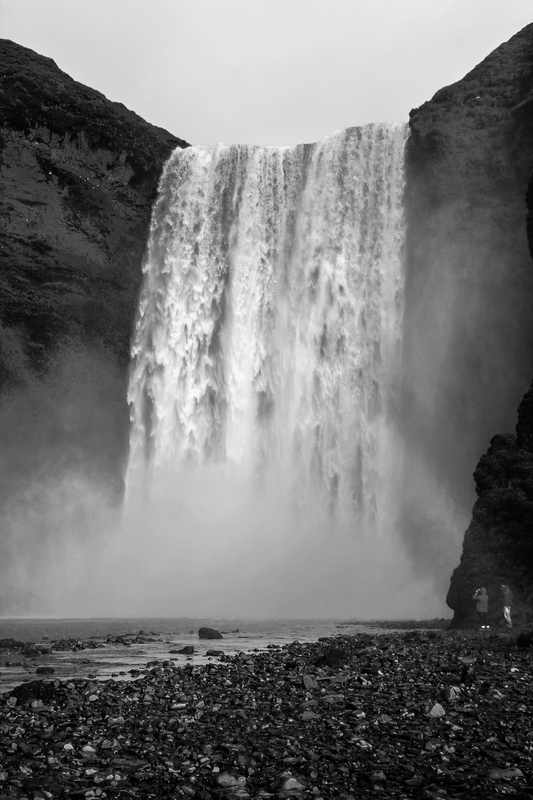 In Iceland, the water shoots up from the ground, falls from the sky, and warms your chilly bones. We woke up in our adorable hostel and it was still raining. We had a cold breakfast buffet ($20/each!) and headed out see the geyser that gave all geysers their name. It’s a quick but fun stop. 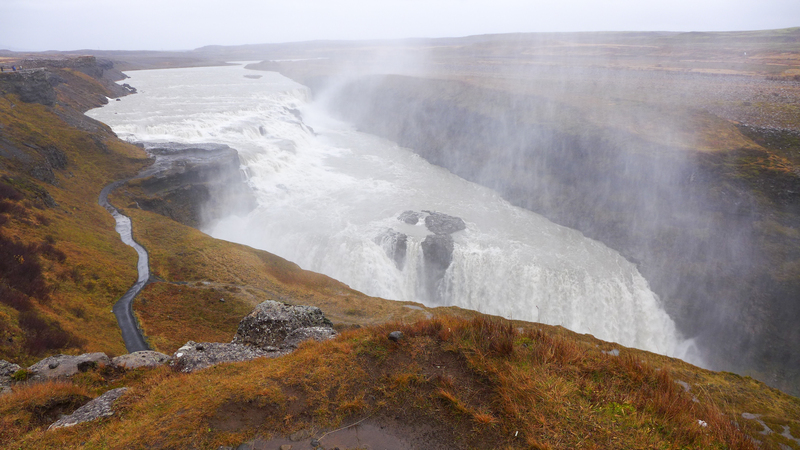 Geyser is on the way to Gullfoss (foss=falls) which is an impressive double waterfall, with extra volume due to all the Hurricane Matthew rains. What is a double waterfall? Look at this! The first fall is back to the left and it cascades down and the second fall goes down the ravine near the bottom of the photo. It was HUGE! 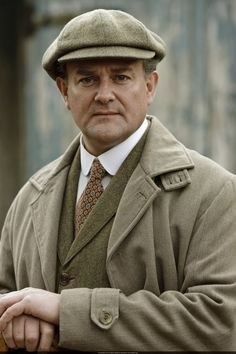 It was chilly and damp out on the moors and Richard was appropriately dressed like Lord Grantham out on the hunt. 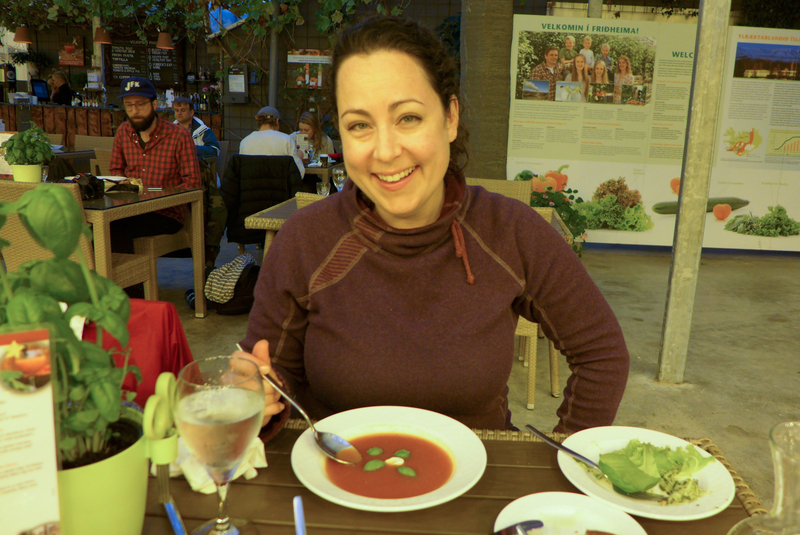 We needed a bit of Vitamin D, so we decided to have lunch in a GEOTHERMAL greenhouse! Off we go to the Fridheimar farm for some tomatoey-deliciousness! Behold! A bowl of $20 soup! In all fairness, this place was AWESOME. The soup was all-u-can-eat with 8 different kinds of bread and basil on the table. 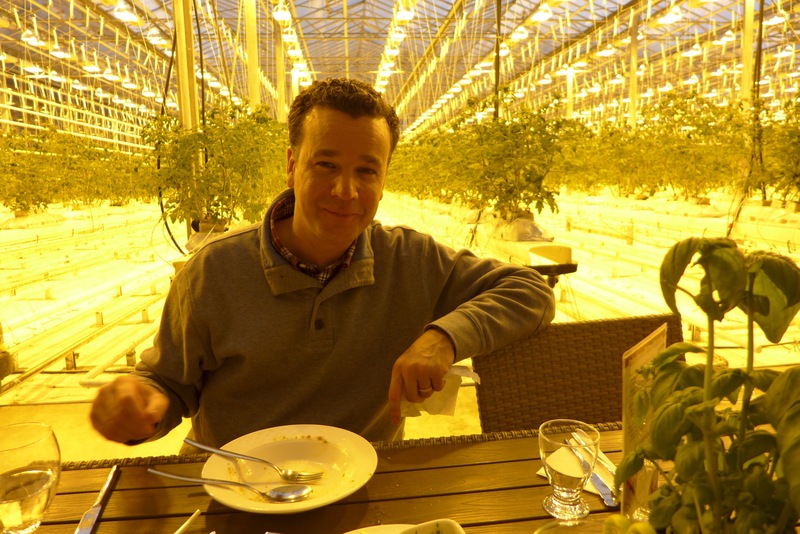 Plus, you got to eat in a greenhouse and watch fat Dutch-imported bees (with no stingers) pollinate the tomato plants. It was the experience, not the soup that was worth $20. 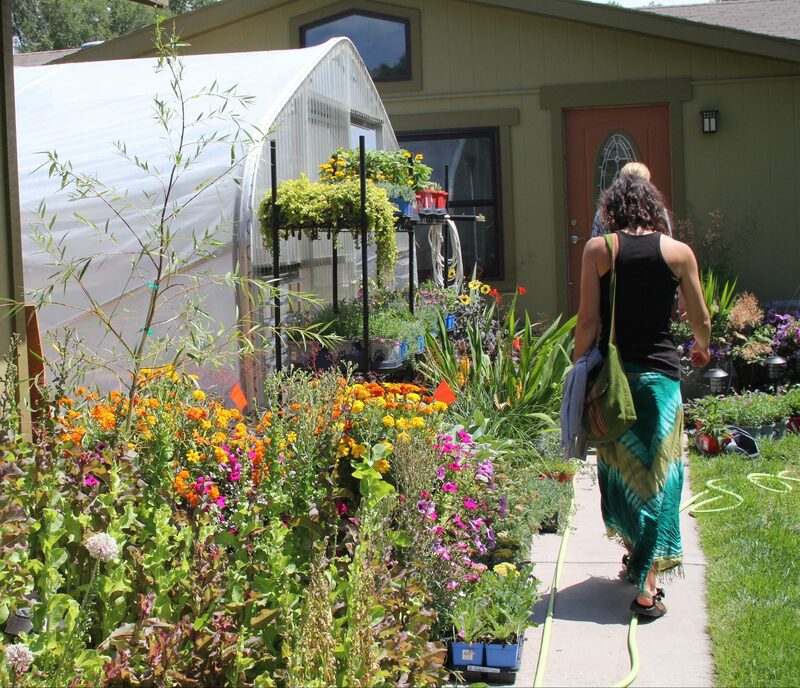 To round out our day: we head to Fontana Hot Springs– two blocks from our hostel! They had 3 unique lagoons with varying temperatures, saunas AND you could jump in the lake! Brrr! 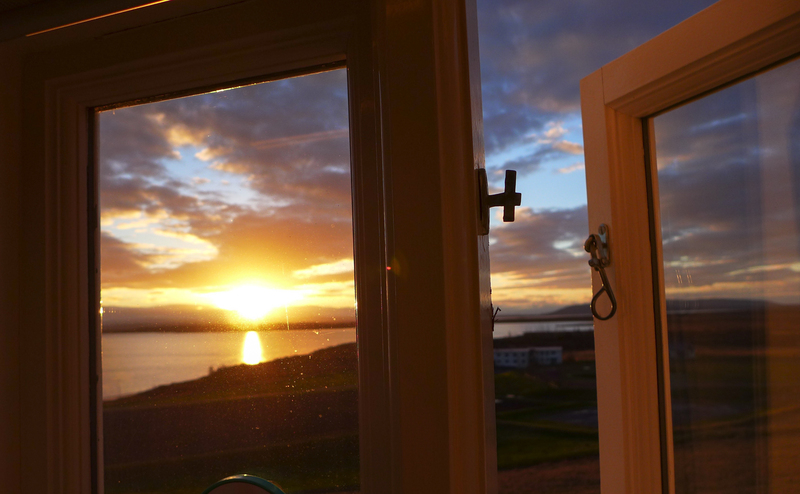 We had a relaxing evening in the hostel, wrote some postcards and woke up to SUNSHINE! 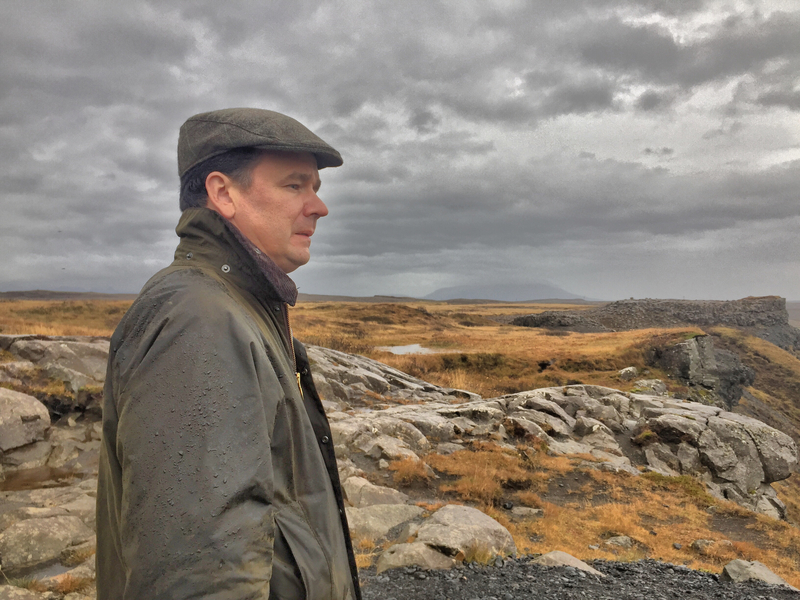 We landed in Iceland 7am on Tuesday and it rained for the next 3 days. 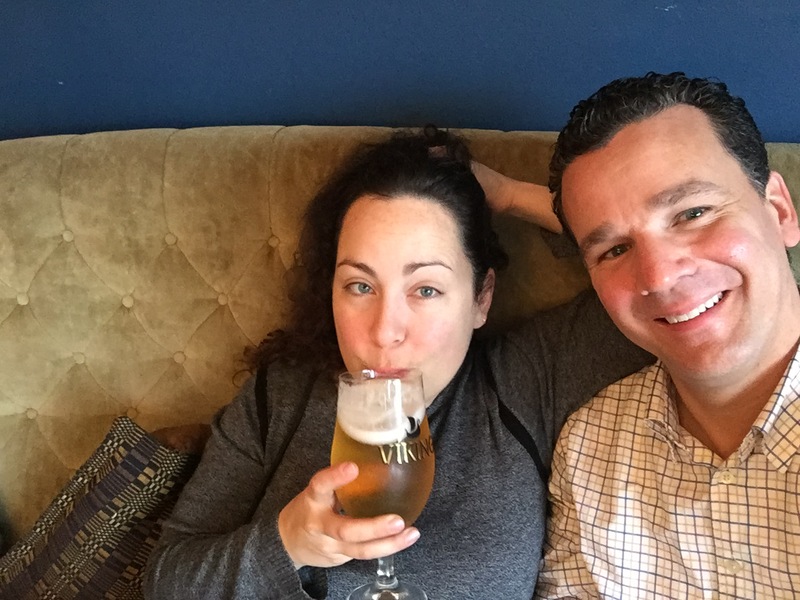 Luckily, we were on our honeymoon and nothing was going to dampen our spirits! Here’s Richard, (in a raincoat!) driving us through the rain. This is our first time seeing $20 soup on the menu. Food was very expensive in Iceland but for some reason, we never saw soup for less than $14! 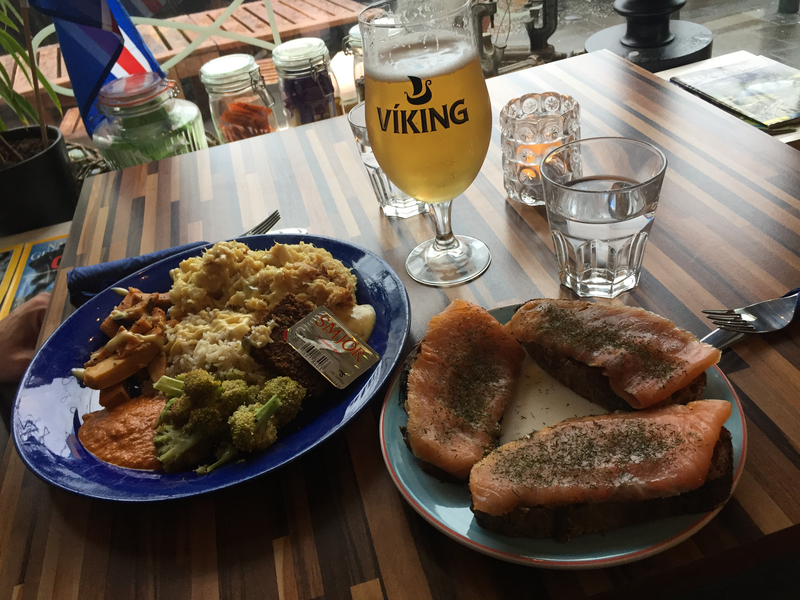 We thought it was an anomaly at Salka Valka and since we were SO pleased with our Plokkfiskur, we didn’t think much about it. 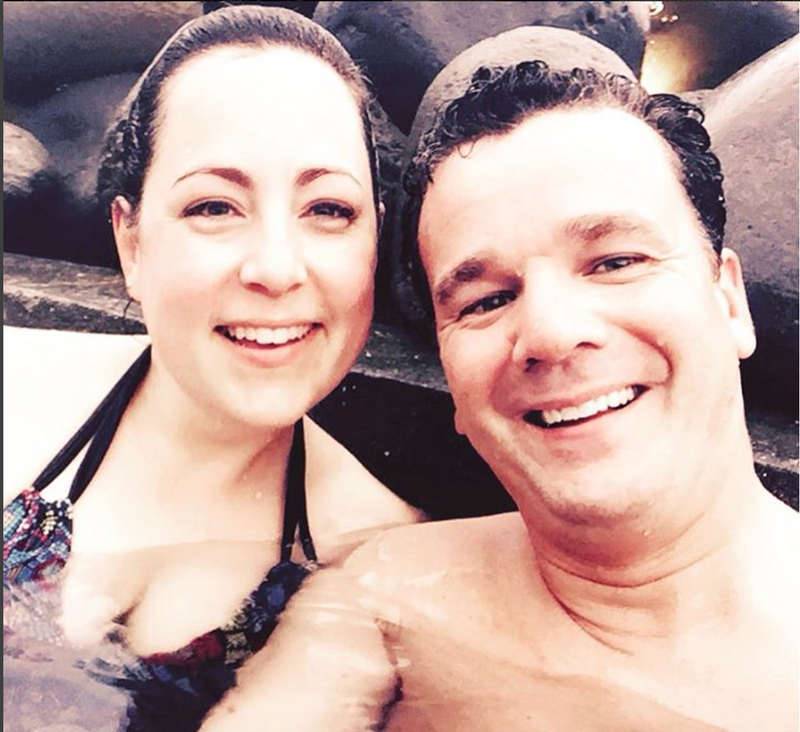 That night I was still recovered from a bit of jet lag so we headed back to relax in the hot tub. 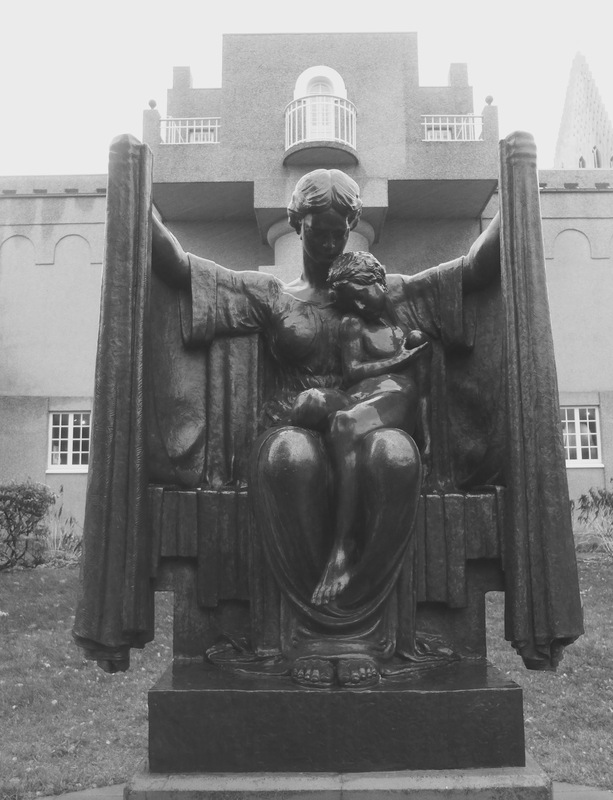 On the walk home, we found the Einar Jonssan sculpture park and museum and I was enamored by Enar’s the Art Nouveau sculptures. This one is called, Protection. To escape the rain, we decided to pay ($10) to go inside the museum. 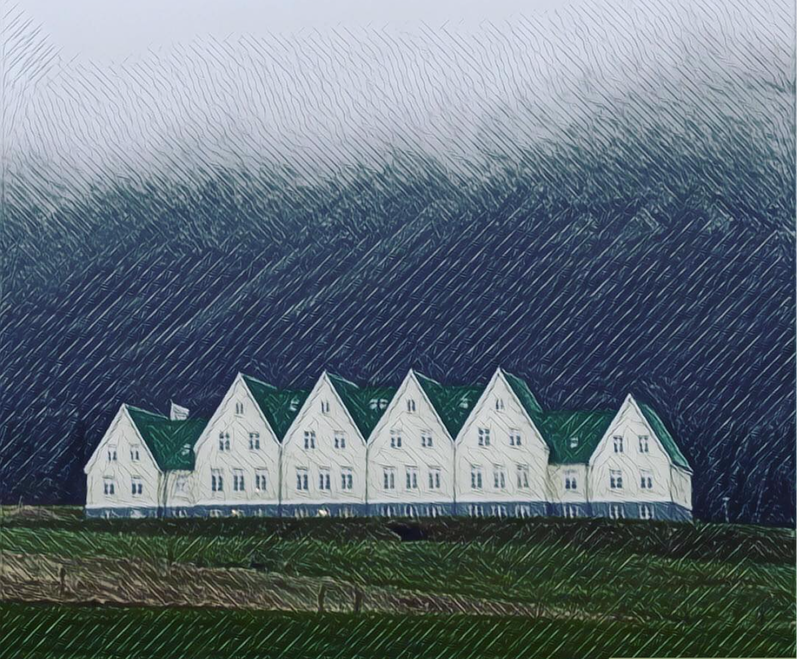 Turns out that Einar studied art in Europe and after he made it big, he told Iceland that he’d give them all his art if they’d build him a museum where he could have a studio and apartment. The kitchen was installed along one of the walls in this room below. You should go, it was very interesting. 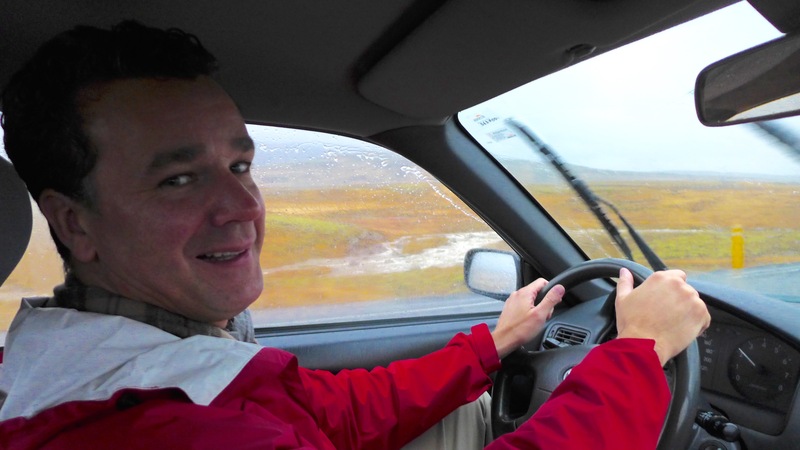 We packed up and headed out of town, taking the Golden Circle road towards Laugavartn. 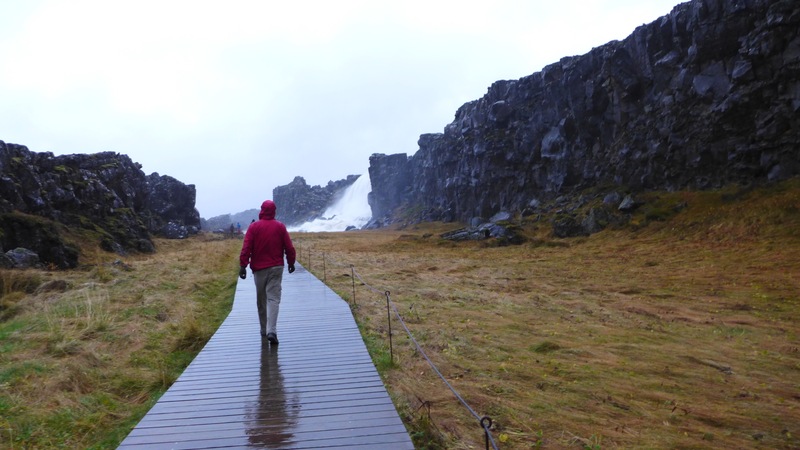 We drove through Pingvellir and admired the dramatic volcanic cliffs and waterfalls. Soggy and tired (of being soggy) we arrived at our darling old-school hotel, Héraðsskólinn. We checked in and asked to borrow a hairdryer to dry our shoes. This is when we learned that the weather was caused by the tail of hurricane Matthew, slapping Iceland with unrelenting rains as it spun past.